We were fortunate to never be in want of eggs all winter, as the hens continued to lay. But the promise of spring, and this short stint of gorgeously mild weather (don't get too envious - it's about to go downhill in a few days), has us swimming in not just enough eggs, but a sheer abundance of them! And I have been enjoying it so! 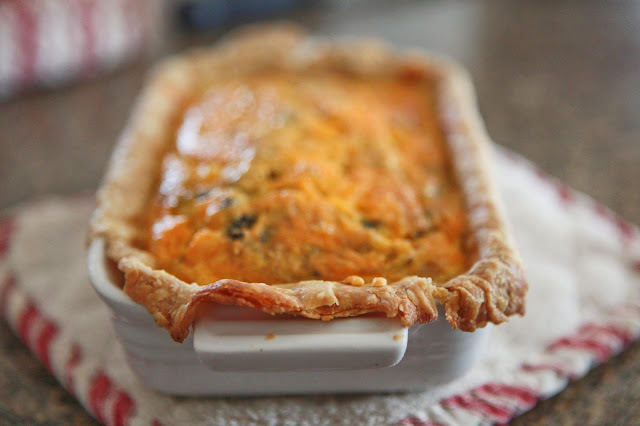 For abundant eggs also mean abundant mayo and egg salad and egg with pork, and quiches (even if they're baked in not-a-quiche-dish dishes). It's comforting to feel so rich in such a deceptively simple thing. Did anyone ever tell you that you don't need money to feel this wealthy? All you really need are a few good eggs. I love it. Just this morning as I was trying to coax Avi to eat his eggs before having applesauce, I was talking about how lucky we are that our hens lay eggs for us to eat. Yes yes yes... rich indeed!!! For the first time in my 30 something raising hens mine molted which resulted in five days with no eggs but they are picking back up - luckly I have 23 hens so I always have extra frozen and in the other frig. It was a tad bit un nerving... Love those home raised eggs. My hens are really producing too and I'm at a loss as to what to do with so many eggs! What a terrible thing, huh?!? LOL!! They are so golden! And not just in color. Haven't made a quiche in years. Your post is making me hungry for one! looks good. gotta love the abundence of eggs! it's always sad when the hens go through the molt and don't lay for a while. 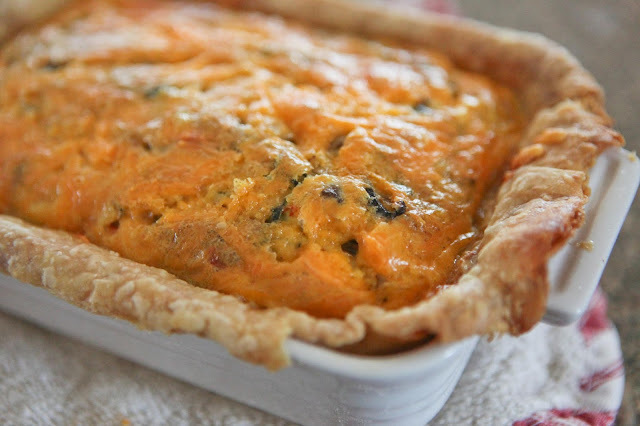 we like quiche too. made mayo once and it didn't work. don't think I beat it long enough! Hmmm...did you make your mayo in the blender/food processor? It does take some time to come together - also after the emulsion is stable, more oil makes it thicker. i used a food processor. it never turned white and fluffy. i figured i'd borrow my MIL's blender and try it in that. think that would work better? Maye a blender would give you better results since you could add the oil more slowly? I think that's the key - once you start adding the oil, you have to do it really slowly and continuously blend the whole time. Mine never got fluffy, but it eventually became thicker and spreadable. Good luck, hope it works for you next time! Oh my... sheer deliciousness! I love eggs. My favourite egg dish is quiche but a close runner-up is a simple hard boiled egg with salt and pepper. So true. And infinite possibilities. Hash (of any kind) with a fried egg on to, is my favorite. I am - at this very moment - waiting for two quiches to finish baking. My hens have gone from laying about a dozen eggs a day in December to today's count of 75! As we sell eggs, this is great, but it also means I have a glut of eggs that are not quite perfect enough to sell... So, I'm about to get busy using them all up! I'll be trying your mayo recipe (for egg salad, of course!) soon. Thanks for all this egg-specific inspiration!! PS - I hope you realize that you will now need to tell us how to make your delicious-looking freeform quiche. 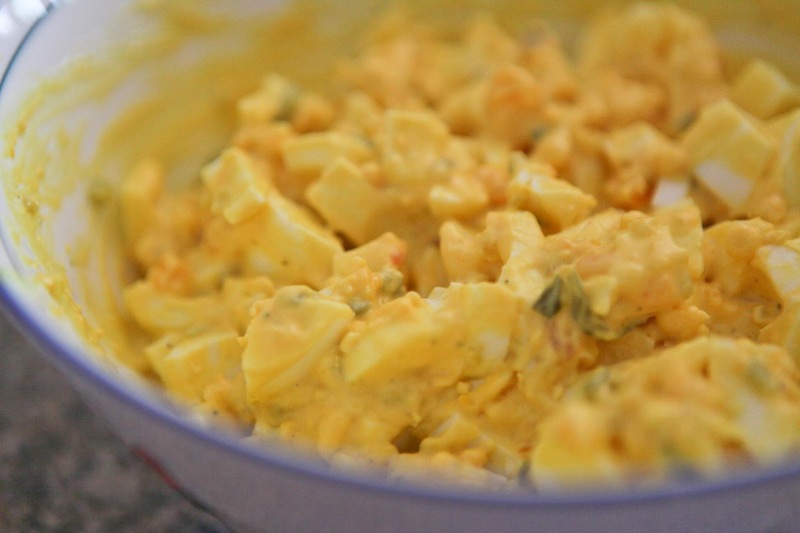 Beautiful pictures, and you just reminded me I need to make a curried egg salad soon. We're getting our first baby chicks in just a few short days, and I can't WAIT until they begin laying. Eggs galore! All these wonderful egg dishes are making me hungry! 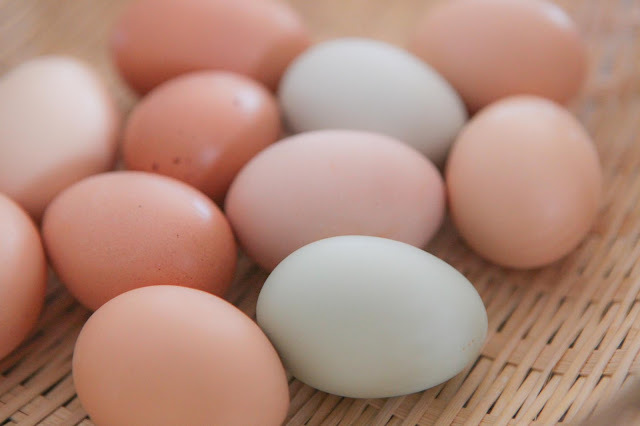 As a vegetarian (lacto-ovo) I'm quite fond of eggs, and they are a wonderful source of protein.